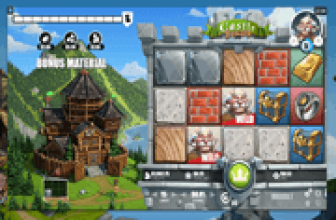 King of Slots reigns supreme when it comes to featuring special Sticky elements. Where other video slots make the Wild Symbol and the special icons sticky when launching reel re-spins, King of Slots does better. 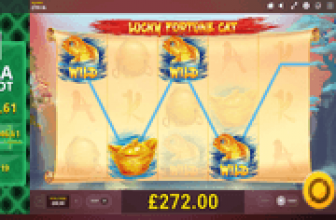 The plush and gilded 5-reel NetEnt video slot adds the Sticky attribute in all reels and to all winning symbols in triggering the Reel Re-Spin feature. King of Slots has 25 fixed paylines and it does not matter whether the bet staked per spin is great or small. The wins are likely to keep coming since all 25 paylines are active in every spin. 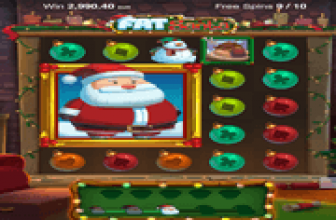 Players can bet as few as one (1) coin or as many as 10 coins per payline, and use coin values ranging from 0.01 to 1.00. The minimum bet per spin therefore could be as low as 0.25 to suit the casual gamblers; or as high as 250.00 for the high rollers. Every payline win produced by a spin, activates the Sticky Win Feature. All symbols that formed payline wins including the Blue Diamond Wild Symbol used as substitute, and the Pink Diamond Scatter Symbol Pay combos, stay fixated in their respective position. The non-winning icons, on the other hand, launch into a re-spin. If the spin produces more payline wins, the remaining non-winning symbols continue to re-spin. The Sticky Wins re-spins will carry on for as long as each re-spin returns with new payline wins. The same-symbol additions could increase the value of the payline wins with each re-spin. What could possibly happen is that the payline wins start from being three-of-a-kind combos to becoming four- or five-of-a-kind payline combinations as outcomes of the re-spins. This is because the Sticky Wins re-spins continue, for as long as the same symbol additions create new wins. It is possible to carry on with the re-spin feature until the entire reel screen is filled with only one kind of symbol. Such an occurrence will of course, result to a big Big Win. More so, if the Sticky Win re-spins occur during the Free-Spins Bonus Game. The Free-Spins Bonus Game feature can be activated by the emergence of five or more Pink Diamond Scatter Symbols. A set of five (5), six(6), seven (7) or eight (8) of the Pink Diamond Scatters awards 10, 15, 20 and 25 bet-free spins respectively; landing on a set of nine (9) up to 15 Pink Diamond Scatters triggers 30 free spins. Greater wins are in store during the free round, especially when the Sticky Wins re-spins happen. This is because the King of Slots Free-Spins Bonus game pay triple (3x) the payout value of all payline wins, as hit by every bet-free spin, including re-spins.